Many residents take advantage of the recreational and cultural activities in the area including rivers, lakes, The Maples Park, Pratt’s Landing Recreation Area, Historic Dunvegan, Annual Bluefest Music Festival, Fairview Amateur Rodeo, Drag Races, Skating, Curling and Skiing. 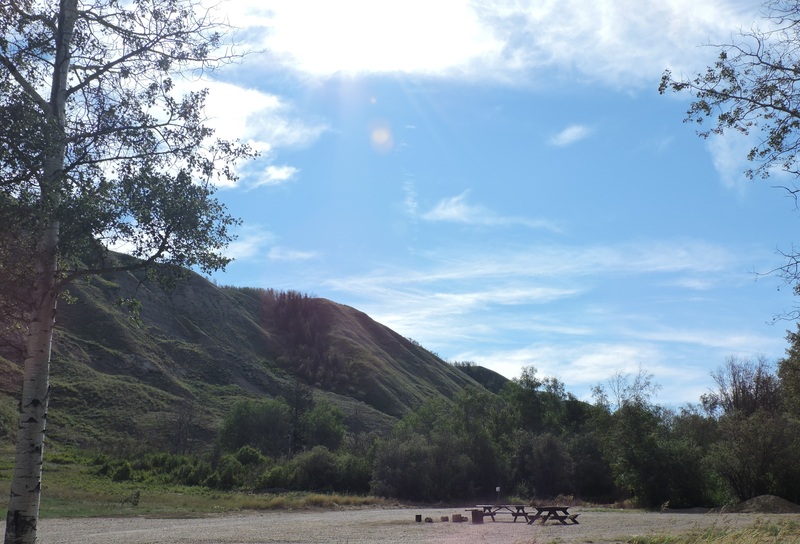 Located on the shores of the Peace River, 26 river kilometres, about 4 hours of paddling, upstream from Historic Dunvegan. Developed and maintained by committed community groups, Pratt’s Landing provides an exceptional camping experience. To access this wilderness park you have to travel on secondary highway 682 west of the Town of Fairview for approximately 32 km. CAUTION: Please be advised that road conditions are hazardous when wet due to the steepness of the road. The Maples Day Use area is located on the west side of the Dunvegan Bridge, approximately 26 km south of the Town of Fairview on highway 2. Visitors may investigate numerous stories about the fascinating history of this area by touring both the Maples and Historic Dunvegan which is located on the east side of the bridge and has great camping and picnic facilities, commercial gardens, ice cream, golf and a gift centre. Historic Dunvegan was established in the late 1700's and one of the first areas to be settled in the region. The First Nations peoples used this area as a meeting point for thousands of years. To book The Maples for Special Occasions please contact the Municipal District of Fairview Office at 780-835-4903.